The 1:1 Fiber Optic Redundant Switchover unit is designed to ensure continuous operation allowing a unit fault to be repaired and/or routine maintenance to be performed without disruption of signal transmission. The 1:1 Redundant Switchover Unit is used with two fiber optic units, one on-line (Unit A) and the second in a standby mode (Unit B). A fault condition in the on-line Unit A, or an operator generated command, will switch the standby Unit B to the on-line position and remove Unit A from the transmission path. A full feature set of commands is available for both remote and local control. 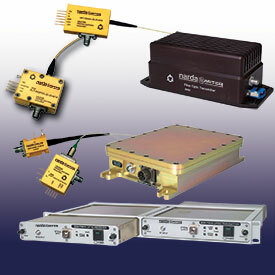 L3 Narda-MITEQ can customize the electrical specifications and packaging of all our fiber optic products to meet your specific requirements. 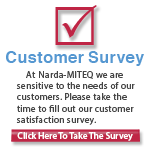 So let L3 Narda-MITEQ be your custom fiber optic solution.